A Nazareth House was established in 1890 at Isleworth House on Richmond Road, Isleworth. The imposing building was originally built for Sir William Cooper, physician to George III. The home provided accommodation for the aged poor and for orphan and destitute children — primarily Roman Catholic girls. 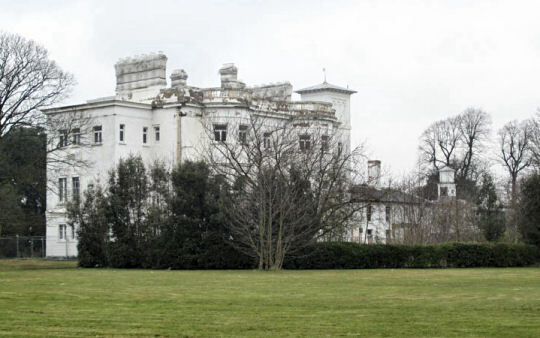 Nazareth House from the south-east, Isleworth, c.2012. In 1899, the establishment was certified to operate an Industrial School for up to 120 Roman Catholic Girls up to the age of 14 who had been committed by the courts. 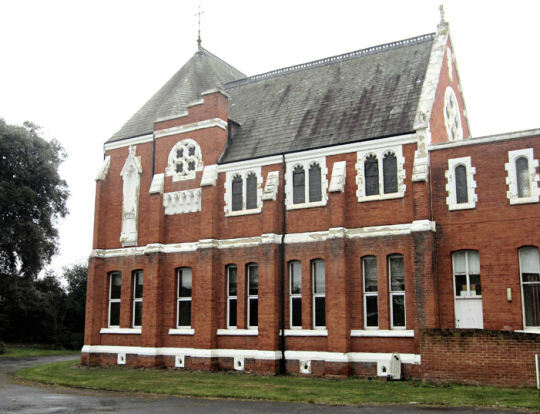 The School initially operated in part of the main convent building then on 4th September, 1899, moved into a separate purpose-built block at the north of the site. Because of its red-brick construction, the block became known as the Red House. As well as basic education, the girls were trained in needlework, cooking, laundry work and housemaid's work. Their physical exercise included musical drill routines. For recreation, there was a library and well-stocked toy cupboard. The Industrial School ceased operation in September 1921. A new chapel, also in red brick, was added at the west side of the house in 1902. It was designed by the firm of Pugin & Pugin who specialised in Roman Catholic buildings. Nazareth House chapel from the south, Isleworth, c.2012. The layout of the Isleworth site in 1913 is shown on the map below. The care of children at the home ended in 1985 and the facilities for care of the elderly were extended, with the Red House being remodelled for use as a residential care home. Some land at the north-east corner of the site was sold off in 1986 where the Herons Place housing development now stands. The Sisters finally vacated the site in 2002. After initial plans to sell the site were unsuccessful, planning permission was obtained to build a retirement village and nursing home but these were stalled with the onset of the financial downturn in 2008. In 2014, the site was again up for sale.